Congratulations to Heidi who won last’s weeks giveaway. 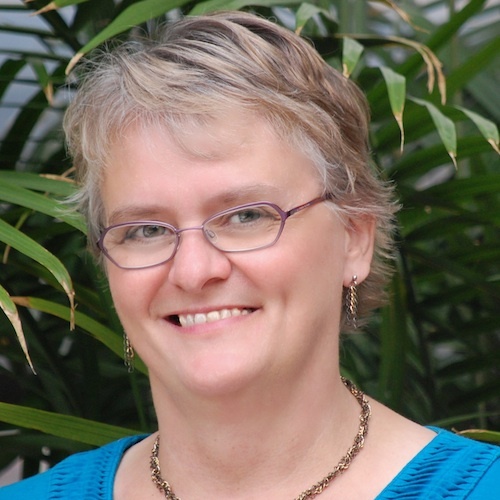 This week we get write to the point with Valerie Comer.Valerie Comer’s life on a small farm in western Canada provides the seed for stories of contemporary inspirational romance. Like many of her characters, Valerie grows much of her own food and is active in the local food movement as well as her church. She only hopes her imaginary friends enjoy their happily ever afters as much as she does hers, gardening and geocaching with her husband, adult kids, and adorable granddaughters. 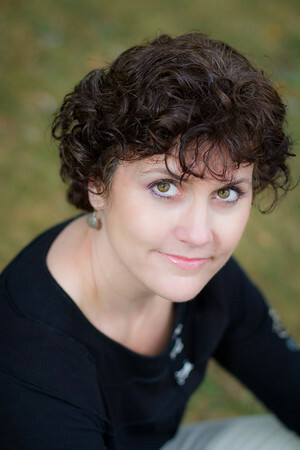 Check out her website and blog at http://valeriecomer.com. I’m a gardener, beekeeper, farmer, wife, mom, grandma, and local food advocate. Thankfully I also have a day job at a small town flooring shop or I’d never have time to catch my breath or write! Like most authors, I’ve been dabbling in writing for as long as I can remember, but an entire novel always seemed too big a task. I didn’t have any idea how to start. When I got this job in flooring and realized I’d have many hours most days to devote to my own interests (so long as I put clients, bosses, sales reps, and freight concerns first–and dust and vacuum occasionally), I knew this was a God-given opportunity. That was ten years ago now. I’ve written nine novels, most of which will never see the light of day–whew! But I’ve learned so much from each and every one that I can’t regret the winding trail that’s gotten me to where I am today. I grew up in a Christian home and remember, as a very young child, kneeling with my mother to ask Jesus into my heart. The bigger problem was assurance. Had I said the magic words correctly? Was I really saved? I struggled with this for many years. 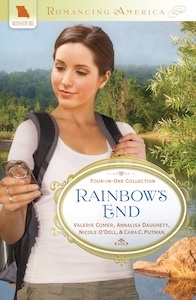 My novella, “Topaz Treasure,” is the first tale in a 4-in-1 collection called Rainbow’s End written with Annalisa Daughety, Cara Putman, and Nicole O’Dell (Barbour, May 2012). Rainbow’s End is set around the Lake of the Ozarks in Missouri, with all the characters participating in a geocaching challenge set up as a church outreach event. “Topaz Treasure” is the story of Lyssa Quinn, who’s the volunteer coordinator for the challenge. She’s shy about sharing her faith, and hopes canvassing businesses for sponsorship will help get her out of her shell. But at the very first business she walks into, a soon-to-open electronics store, she encounters her former college professor–young, handsome, and decidedly anti-Christian Kirk Kennedy. To her surprise, he’s interested in the geocaching hunt and, apparently, in her. How can she trust someone who once shredded her best friend’s faith? What do want your readers to take away after the last page? Of course I’d like them to sigh over a satisfying romance. I’d like them to check out geocaching and use it as a way to get out in God’s beautiful world with their friends and family. But for a lasting impression, I hope they’ll think about what it means to share Jesus with others. Are they bold in their faith, or afraid like Lyssa? Maybe her experiences can help challenge someone else. I have two blogs, and post on each of them three times a week. On my personal site at http://valeriecomer.com/blogging, I post something ‘green’ every Monday. For example, I recently posted a series on food preservation as a way to keep the cost of eating local organic food to something affordable. On Wednesdays I post a book review, usually of a current Christian release. Fridays I blog about writing and promoting. I’ve had a lot of guests on Fridays talking about everything from Goodreads to Tumblr to author newsletters, etc. I have some very interesting topics coming up in June, too. In January I began Romancing America as a way to help all the authors of Barbour’s 4-in-1 collections get the word out about their 2012 releases. Each month the focus changes to the newest release, where we share excerpts, author interviews, and posts from the authors on items related to their novellas. For example, right now we’re in the midst of talking about Rainbow’s End, and a big focus for these posts has been geocaching. Thankfully (except for this month!) I don’t write the articles for this site myself but organize and schedule what the various authors send me. My favorite book changes often, but an author I keep returning to is Sandra Bricker, as I love her humorous style of writing contemporary romance. Possibly my favorite of her books is The Big 5-Oh, in which Olivia tries to outrun her ‘birthday curse’ by house sitting in Florida. If only the elderly neighbor didn’t insist on swimming in her pool every morning, and the dog didn’t need a lampshade collar, and there wasn’t an alligator. To say nothing of the man-next-door and his flirtatious twenty-something son. I have to say that nothing comes to mind when I consider this. My life (thus far) has been fairly uneventful in those large unsettling ways. So may I talk about my character, Lyssa? When she was in college a few years before the novella, her humanities professor made a game of poking fun at Christians. He definitely meant it for harm, successfully for a number of years. Still, this wedge was used by God (seems weird to talk about my own story this way…) and became instrumental in teaching Lyssa about standing up for her faith. The rest of the passage goes on to explain the practical aspects of HOW we may lead that godly life. I’m a list kind of girl, so I appreciate things being spelled out. However, recently God has been reminding me (again) that it’s not about the steps I take in a particular order, but about my soul responding to him in worship without my mind cluttering things up. Psalm 46:10 sums that up: “Be still, and know that I am God.” So simple. So difficult. Valerie, thanks so much for taking the time to talk to my readers today. Readers, I have a paperback copy of Rainbow’s End to give away to one commentator. Leave a comment for Valerie by 5:00 PM on June 5 and you will be entered to win. Happy Friday everyone! I am taking a break today. I am actually writing this on Thursday so I can just push “publish” on Friday. I just don’t have the time to give you a quality post this week so instead of just writing something, I will take a break. I will be spending my Friday with my son on a field trip and then our family leaves for our first camping trip of the season. We are all super excited. 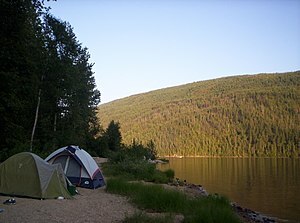 Anyone who knows the Finnegans knows that our summers pretty much consist of camping. Memorial weekend we also celebrate our kids birthdays. Our kids are exactly four years and two days apart and they were both born on the Friday before Memorial day. So it’s a busy weekend for us. Anyone have exciting plans for the weekend? Congratulations to Carole who won last week’s giveaway! This week we get write to the point with Michelle Griep. I follow Michelle’s blog and it is full of good writing advice and a good laugh. As you’ll see in this interview Michelle has a great sense of humor, as well as being a talented writer. At the end of the day, I come home to 3 kids (only 1 has moved out so far), 1 husband, and a slightly psychotic boxer named Tyson. God’s sheer grace. Seriously. I grew up in the ’hood in Minneapolis. When I was 5, I was outside playing on a Sunday morning and a school bus pulled up to the curb, flapped open the doors, and the driver hollered out, “Hey kid, you wanna go to Sunday School?” I didn’t know what that was, but honestly, I had nothing better to do. I got on that bus and went every week. May God bless each and every Sunday School teacher out there, because that’s where I first heard the gospel. People go missing every day. Most meet with foul play. Some leave the social grid by choice. Still, others are never accounted for…where do they go? UNDERCURRENT is the tale of one such person. Professor Cassie Larson leads a life her undergrad students hope to attain, until she tumbles into the North Sea and is sucked into a swirling vortex…and a different century. Alarik, son of a Viking chieftain, is blamed for a murder he didn’t commit—or did he? He can’t remember. On the run, saving a half-drowned foreign woman wasn’t in his plan. Ragnar is a converted pagan shunned by many but determined to prove his Cousin Alarik’s innocence. He didn’t count on falling in love with Cassie or the deadly presence of evil that threatens his village in Alarik’s absence. UNDERCURRENT is a story of honor, sacrifice, and ultimately forgiveness. I blog at Writer Off the Leash. As the name implies, each weekday I roam all over the neighborhood of writerly ideas. I cover everything from platform to plot, all with a cheeky attitude. And on Fun Fridays, I vlog my entry. Jane Eyre by Charlotte Bronte. Jane does the right thing though her emotions tell her otherwise…what a beautifully horrific thing to do, and in this day and age, a rarity to see played out. Recent experience: my 91-year-old mom was in a horrific car accident. Her passenger was killed. By God’s grace, my mom walked away with nothing but bruises. Surely God’s hand protected her, for you see, she is not a believer. She is now housebound without a car, desperate to go anywhere, so I’m using that opportunity to take her to church. She’s come every weekend since March. My prayer (and feel free to make it yours as well) is that she’ll come to a saving knowledge of what Christ did on the Cross. Wow, thanks for sharing that with us. I am sure many of my readers will lift your mom in prayer, it is an honor to do so. If tattoos didn’t involve needles, I’d have that one emblazoned on thigh. If you hear those same voices, go for it. Write it down. Honestly, there’s nothing better than being a writer. 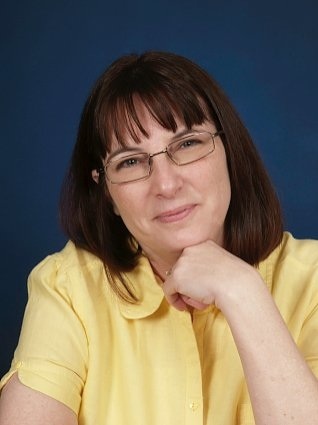 Thanks, Michelle, for taking time to share a bit about yourself with my readers. I know they love getting to new authors. 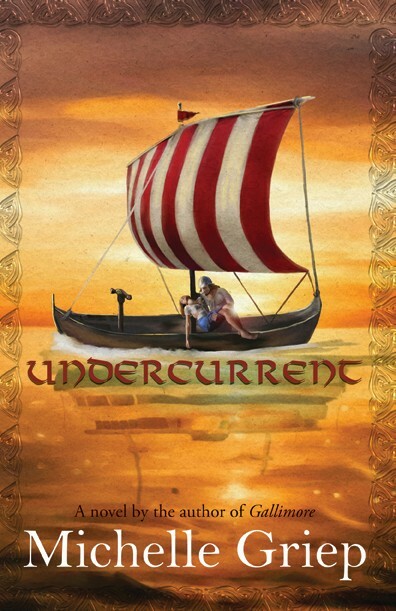 Readers, Michelle is giving away a copy of her book, UNDERCURRENT, in e-format to one commentator. Leave Michelle some comment love and say hey! Be sure to do so by May 29 at 5:00 PM. 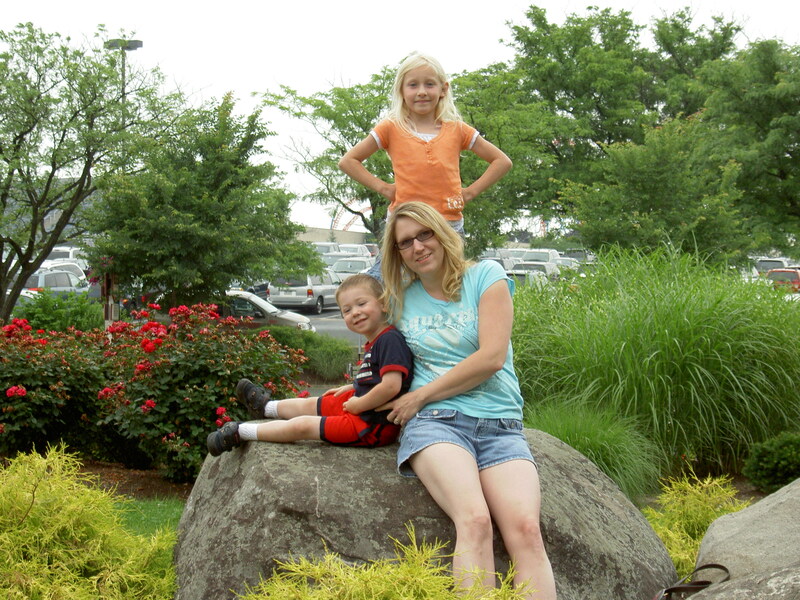 On Monday, June 15, 2009 I woke up with a heavy burden. I still had not shared with Patrick that I had been with the man a second time. I also knew I needed to ask God for forgiveness. Fear filled me with the thought of both these things. Would Patrick leave me when he found out I lied to him again? And would God forgive me? Wonder if I kept screwing up? The morning of June 15th I opened my Bible and prayed. The words finally formed in my mind and I did ask God to forgive me. That same day we left on a vacation we had planned several months before. We debated about going but decided to do it for the kids. Without a laptop. And that was before our phone had internet. This made it impossible for me to be in contact with the other man. This trip turned out to be the best and worst trip of our lives. So much pain came to the surface and so much healing took place. I began to develop a deeper relationship with Jesus. As I read His word’s they spoke directly into my heart. My quiet time was very extended. I spent at least one to two hours everyday praying and reading. I remember reading one verse that almost shocked me. Psalm 147:3 NIV He heals the brokenhearted and binds up their wounds. I read that verse again and again. Really Lord? I am brokenhearted, are you close to me? You will bind up my wounds? Now keep in mind, I was still under complete denial that my abuse played any role in my behavior. I believed my wounds were from what I did to Patrick. My wounds were much deeper. Also, during this trip I started to read the book I referred to last week His Princess Bride. The first love letter talked about God being my eternal Husband and I His bride. The second letter said I was beautiful. I wanted to believe so badly. But could it be true? Did God still see me as beautiful even though I was covered with sin? I put so much emphasis on my outward appearance I neglected the inside, my heart and soul. I felt intimidated around women who were beautiful. I hated that feeling and did what I could to look my best. I searched for that affirmation from men but I didn’t search for it from my Heavenly Father. I saw that God’s Word truly was a love letter to me. To everyone. One night I finally confessed to Patrick that I had been with the man a second time. He held me and told me he forgave me. What kind of love was this? I didn’t know this kind of love. It was foreign to me. I always worked for love. I had to prove myself. Yet, here I was, in my darkest moment, and my husband lavished love on me. Undeserved. I remember thinking I saw Jesus in Patrick’s eyes. I truly did. Make no mistake, things weren’t perfect. We had our moments when we could barely stand to be around each other. Patrick would start to ask questions I didn’t want to answer. Then I looked at my family. My husband and children. I knew that was the life I wanted. I wanted my family. I wanted a life of obedience to God. But a war raged inside me. A fight took place every day. A battle for right thoughts verses wrong thoughts. I learned to lean on God more each day, without Him I never would have survived that week. Deanna called me a few times to see how I was doing and just to be an encouragement. What an awesome friend. The picture above is one we took that week. I believe we are outside the Hershey factory. When you look at that picture you see a happy mom with her two kids. I see the pain hiding behind my eyes. The confusion and torment. I had no idea what my life would look like after that trip. I was His and He was drawing me back. Back to the foot of the cross. A song that spoke to me that week was Revelation by Third Day. I needed a revelation big time. Before we came home from that trip Patrick asked me to email the man and end things. I agreed, but my rebellious side, the side that wanted to maintain a sense of power, the side that was tired of men telling her what to with her life, developed a plan. A plan that almost completely ended my marriage. Have you ever seen Jesus through the actions or words of another person in an undeniable way? Congratulations to Karen who won last week’s giveaway! 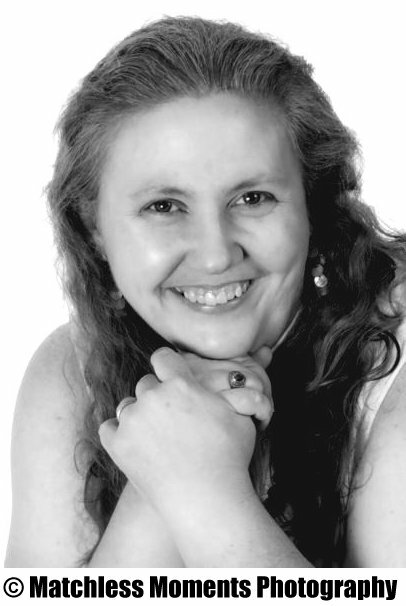 This week we get write to the point with Caprice Hokstad. Caprice spends most of her time dreaming up other worlds to live vicariously in. Her first half-million words were lavishly spent on the fantasy setting of Byntar (where her published Ascendancy Trilogy novels are set). Caprice lives in a mobile home in southern California, but regularly stares at her simulated aquarium screensaver. Her ultimate aspiration is to live in the first undersea colony, Atlantica, currently being built off the coast of Florida. She is assured they will have electricity and internet and that there will be room for her laptop, so she can continue to write. At that point, she may change her screensaver, but no promises. Married 27 years. Four children, ages 8-24, one grandchild with another on the way. Born and raised in California. Went to college in Texas. Lived in a log cabin in the boonies for the first ten years of marriage. I’ve been writing since 1998. Blood and Brine: What should be a season of rejoicing over Duke Vahn’s newly-recovered son is overshadowed by fear of an uncertain future. Vahn’s brother, King Arx, expands the war with neighboring Ganluc, while enemies at home seek to shatter the Rebono dynasty forever. Strained relations between royal twins harden into cold suspicion and treasonous accusations while a deadly plague sweeps across the land. As the royal bloodline is torn asunder, two races, the Elva and Itzi, discover that only together can they stop the plague and restore their unraveling kingdom. It’s the third and final book in a fantasy trilogy, so I hope my readers feel sad it’s over, but satisfied with the way everything was resolved. How did you come up with the idea for this book/series? It was very loosely based on some roleplay characters from America Online chat in the late 1990s. When my roleplay partners stopped playing, I missed it too much to let go. I started this story as my self-consolation. I think Algebra is fun. No. Really. For college work-study, I was assigned to work in the cafeteria. I soon discovered this was the most-hated on-campus job there was. People told me to transfer to the library or be a resident assistant. I had to get up incredibly early (breakfast crew had to arrive at 6:30 AM, which for a night person is just about obscene). The work was tedious and grimy. I often had class directly after a shift, so I had arrive in my grubby jeans and hat-hair. The other girls in my dorm spent at least an hour every morning on hot rollers, hairspray, and make-up and they wore dresses and heels. I stood out like a scuzzy bum everywhere I went. For the first month, I absolutely hated it. I still don’t know why I didn’t transfer to another job immediately, but it turned out it was good thing I didn’t. I didn’t understand how the work-study program operated. A certain amount of my financial aid was designated as work-study, but when my first paycheck came, it wasn’t the amount I was “promised”. That amount was actually the maximum limit I could get from the program. I had to earn every penny in wages, paid by the hour. It wasn’t guaranteed like I had stupidly assumed. I had tuition and fees due and not enough paycheck to cover everything. My parents only let me go to private school on the insistence I found a way to pay for it. I couldn’t stand the thought of having to call them and tell them I had misunderstood my financial aid. I was sure they would make me try to join ROTC (which was unlikely I could meet physical qualifications for; I was overweight) and when that fell through, I would have to quit school and come home in utter disgrace. So I sold back my meal plan to pay off that installment of my bills. Being a cafeteria worker meant I could eat when I worked and I usually worked once a day, so I wouldn’t starve. This made it possible to meet my expenses on what little I made, but with very little to spare. The cafeteria paid ten cents more per hour than any other job and now that extra mattered quite a bit. I also had an opportunity to get more hours than would have been available to me in other jobs. Plus, when I used up the work-study funds, the cafeteria hired me on as a “regular” employee, doing the same job, just getting paid differently. If I had worked any other on-campus job, when work-study funds ran out, I would have been laid off and had to find something off-campus. I didn’t have a car then, so that would have been really difficult. Suddenly, the cafeteria was not such a bad deal after all. I did resent the ickiness and the tedium for quite a while, but I eventually made peace with the job. In the end, all my best college friends were the others who worked in the cafeteria and I have better memories of that dirty job than of just about anything else I did in college. Thanks so much for visiting with us today. 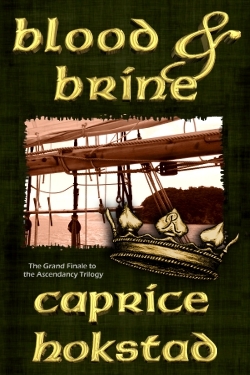 Readers, Caprice is giving away a Smashwords coupon so you can purchase her book in any e-format you would like. Leave a comment by May 22 at 5:00 PM and you will be entered in the drawing. Last time I wrote I left off with June 12. I drove away from the other man’s house feeling like a dead woman. That evening I went to get groceries with my family. I clearly see me with my kids reaching for some cheese and thinking I feel nothing. I feel dead. I felt so empty walking around the grocery store, surrounded by people but having no clue who I was anymore. The power that revived me the week before was zapped from my being. Where did the power go? When did it leave me? Later that night I drove to my friend’s house to confess, for the first time, what I had done. On my way there I was listening to Tenth Avenue North (they had become my lifeline) and the song Times began playing. The words asked “what I have become?” The question penetrated into my soul and I cried. I didn’t want to be me. Maybe I would get in a car accident, die and no one would know what a horrible person I had become. My children would never have to know that I betrayed their father in the worst way possible. Who could ever forgive me? These thoughts and questions ran through my mind as I drove to my friend’s house. I didn’t tell her I had just been with the man hours earlier. How could I? I was so ashamed. And at that point Patrick didn’t know I was with the man that day. I didn’t know if I wanted my marriage or if I still wanted out. But I knew I needed help, I needed prayer. I will forever be grateful to Deanna for being there for me that day. If she hadn’t been who knows where I would be now. I believe that night my heart started to turn back to God. The next day was our anniversary, June 13. We talked about going out earlier in the week and we decided to give it a try. I have no idea why. I guess I hoped for something normal. But nothing was normal anymore. Just before everything happened a friend of mine (Kellie) told me about a song she would love our worship team to do. She sent me some links. I had no clue this song would become my life blood on June 13. The song was Revelation Song, if you click here, you will see the video I watched continuously that day. The way the singer worships, I was drawn to it. Patrick and I went out that night. I was still dead. Sexual sin does kill you. There is no other way to say it. It takes what once was alive and destroys. I was destroyed. Little did I know God had me right where He wanted me. Patrick mentioned last week we went to a bookstore that night. I was searching for something while I was there. Something that would tell me who I was. I came across a book His Princess Bride: Love Letters from Your Prince by Sherri Rose Shepherd. I looked at it and thought, yes, I need to know…am I a princess? I didn’t feel like one but if there was any chance I needed to know. I took the book to Patrick and he made some comment that was not encouraging and I said, “Never mind.” But I was thinking, what is the point, I am not princess, not after what I did. I placed the book on the shelf, feeling angry with Patrick and angry at myself. June 14 was a Sunday and I had to lead worship. I awoke to my clock radio playing Chris Rice’s Untitled Hymn. I laid in my bed with my husband’s arm drapped over me and tears wet my pillow as I listened to the words of that song. I see now how my Father was wooing me back to Him. For the first time, as I write these words I see. He used music, the one thing He knew I would listen to, and drew me into His embrace. Wow. That morning we sang Hallelujah by Tenth Avenue North. Again, a line in that song speaks about God loving us after all we have done. I was overcome with emotion. With truth. Did God still love me? For the first time in a month God allowed me to speak to His children on a Sunday morning. That is another post I will have to write, but for a month leading up to all this I didn’t speak to the congregation. I see now how God was protecting them, even before I was falling into darkness. He takes care of His children. He would not let me speak when I was not repenting. I believe that Sunday my heart started to change. I began to come to God with a heart of repentance, that is why He opened my mouth and allowed me to speak to His people after my silence. I had a long way to go and many struggles ahead, but the journey had begun. Have you ever felt God wooing you? What did He do to bring you to Him? Or what is He doing now? Congratulations to Patty who won last week’s giveaway. This week we get write to the point with Fay Lamb. Read to the end, Fay is giving away a copy of her book. I’m a wife, mother of two, and grandmother of five. My husband, Marc, and I are both lifelong resident of Titusville, Florida (where Kennedy Space Center is located). We love to open up the books of history on the town and tout, “My families mentioned more than your family.” And how long have I been writing? I have been storytelling since I could talk and writing stories since I could write. My imagination has never been without a story or characters auditioning for stories. My mind is a very crowded place to be. I was around twelve-years-old when I was saved. My grandmother had a weekend home only thirty miles from where we lived, and the church bus would pick up the neighborhood kids every Sunday. I remember the pastor was Adrian Rogers, and I remember sitting up in the balcony for the church service with my friend, Conrad. I don’t remember the sermon, but I remember the pull of the Holy Spirit as the invitation was given. I walked down the steps of the balcony and proceeded up the aisle of the church. There I confessed my sins and asked the Lord for His mercy and his salvation. When I finished praying, I looked up. Conrad had come to know the Lord that day as well, and that gives me much peace, because he died on his eighteenth birthday. In Heaven, we’ll be able to celebrate our second births together for eternity. 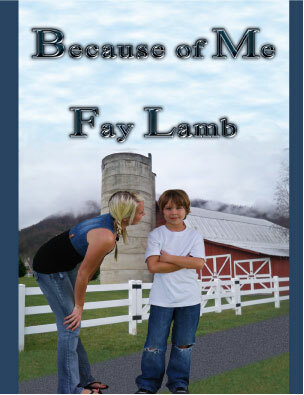 Because of Me is the story of Michael Hayes and Issie Putnam. Michael and Issie have been separated for many years. On the last night they saw each other, Issie was the victim of a horrible attack, and Michael was arrested and imprisoned for a crime he did not commit. Michael returns home and finds that Issie is not alone. She has a son, and though he is not Michael’s child, Cole Putnam was definitely born because of him. Not your typical Christian fiction. Available through all fine book retailers, Amazon.com, and Mountainview Publishing, a division of Treble Heart Books. Your book sounds great. I love Christian fiction that isn’t typical, I hope that is the kind I write! I wish I could say that I’m a faithful blogger on my own website, but currently, I’m enjoying guest blogging whenever anyone wants me. I don’t even have to think about this one. I read this book last year for the Carol Awards. I couldn’t put it down. Not only was the message a great one, but the main character was hilarious, always getting into wonderfully funny situations, and she had so many quirky friends. I laughed so hard at times that my husband would stop what he was doing so I could read passages to him. The name of the book is Bliss by Tracy Bowen and Jenness Walker. You know, I probably have had one of those moments, but I really can’t recall one personally. However, my novel, Because of Me is about one of those moments in the lives of two people. Michael and his fiancée, Issie, are torn apart by a violent act and lies that make them feel alone and abandoned. At the end of their journey, neither Michael nor Issie would change any path they had to walk, because in doing so, their lives would be empty of their most treasured gift from God. I’ve adopted two life verses. Most everyone knows Jeremiah 29:11: “For I know the thoughts that I think toward you, saith the Lord, thoughts of peace, and not of evil, to give an expected end.” I love this promise from God. Everyone of us, no matter what we’re going through, if we know Christ as our Savior, have a promise of a peaceful future. The other is the same life verse that Michael Hayes adopts in Because of Me: Job 13:15: “Thou He slay me, yet will I trust in Him: but I will maintain mine own ways before Him.” This one is a hard verse to live up to, but the truth is, no one has to go it alone. Christ is the strength we need to maintain our ways before God. Yes, I’d like to thank you very much for allow me to share a little about myself with your readers. It is very greatly appreciated. Thank you so much for taking time to visit with my readers and share a bit about yourself. Readers, Fay is giving away a copy of her book to one commentator. You can choose e-book or paperback. Just leave a comment for Fay by May 14 and you will entered in the drawing to win a copy!